The Learjet 70 has been crafted beautifully with a sleek design. It is technologically advanced and comes with a sophisticated look. 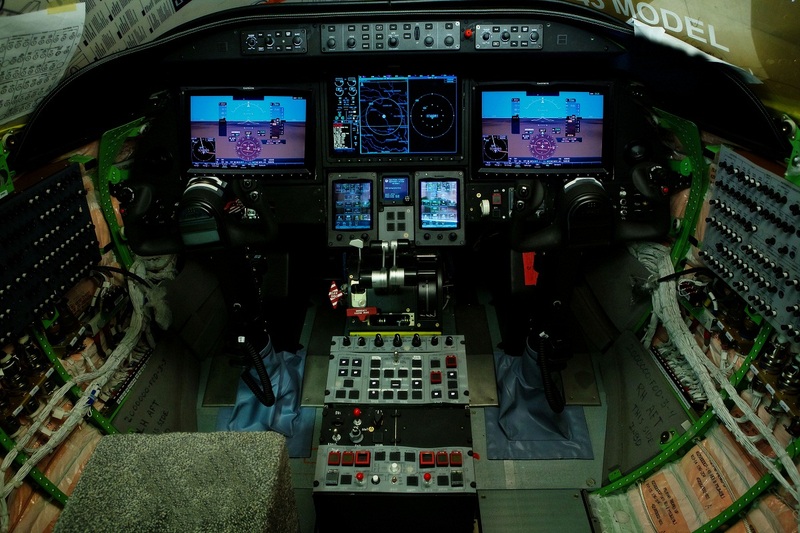 The cabin of the aircraft is beautifully furnished and it has been designed with precision. The manufacturers have given importance to comfort by providing it with adequate seating and making the cabin as comfortable as possible. 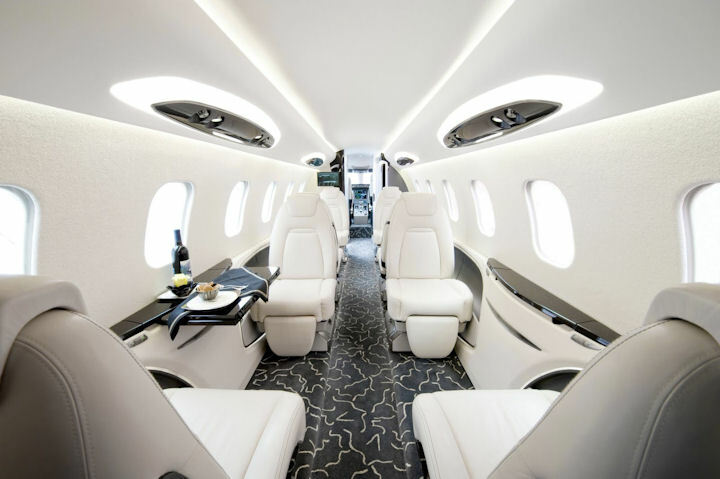 The exquisite environment inside the Learjet 70 can easily fit in 6 people without compromising on the comfort of the travellers. The spacious seating of the cabin has been designed in forward club configuration to provide the passengers with a cabin that is wider and more spacious than they would have expected it to be. The maximum height of the cabin is around 4.92ft. and its maximum width is of 5.12ft. 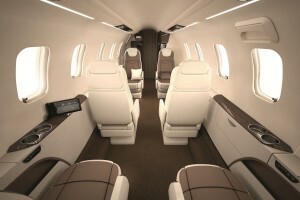 There are various amenities provided in the jet to keep the cabin environment comfortable and enjoyable. The travellers can easily work, play around, enjoy their meal or simply relax inside the aircraft. The forward club seating is an innovative feature added in the L70. This feature provides the aircraft with additional storage facility and gives extra leg room to the people in the cabin. 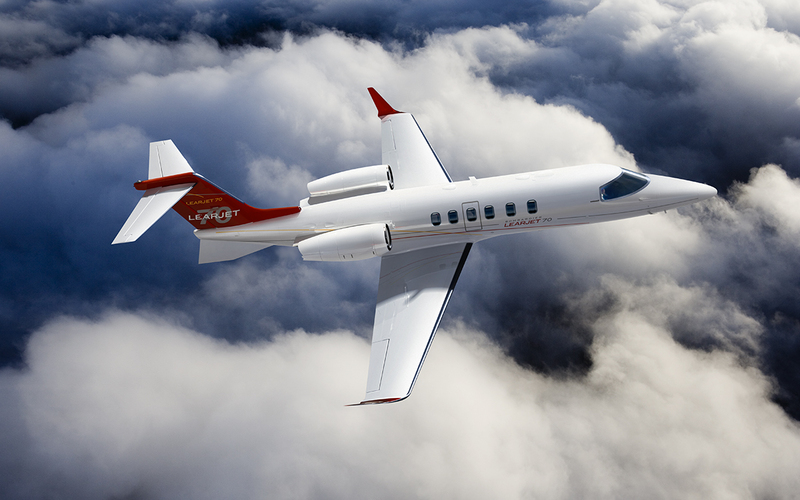 The Learjet 70 has unmatched engineering that provides this jet improved quality and reliability. It is designed for the elite business class to experience a comfortable journey while they go for a vacation or travel to any place for an organized business meet. The aircraft is provided with an environment control system that helps in having optimal control over the environment inside the cabin. This feature has the ability of dual zone control that provides comfortable seating for the cockpit as well as the cabin. 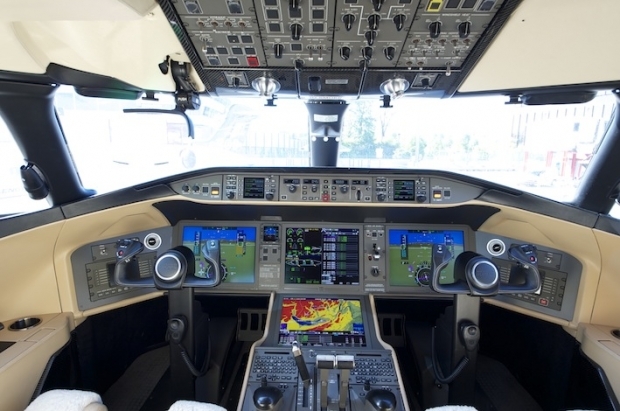 The main purpose of designing such technologically advanced features inside the cabin of the aircraft is to focus on the security and easy troubleshooting without compromising on the comfort quotient. Bombardier had announced the development of Learjet 70 in the year 2012. It was expected that the aircraft would be ready for service by the end of 2013. But there were some delays but the aircraft was finally ready in the year 2014. In 14 November 2013 L70 received its type certificate from FAA. 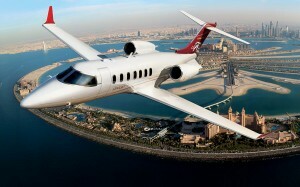 Presently it is one of the best in class business jet in the world of aircrafts. Its fine tuned engineering and customized design make it one of the favourites of the elite business class. Some of the features that make it unique are its engineering, hand crafted cabinetry, pre-fitting mock-ups, environmentally controlled point facilities, electrical designs and integration.